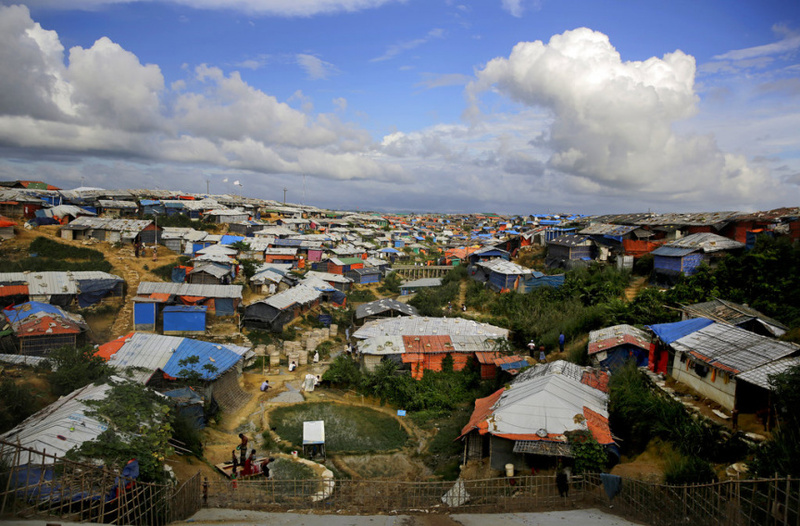 GENEVA (AP) — Investigators working for the U.N.'s top human rights body said Monday that top Myanmar military leaders should be prosecuted for genocide against Rohingya Muslims. The team cited a "conservative" estimate that some 10,000 people were killed in the violence, but outside investigators have had no access to the affected regions — making a precise accounting elusive, if not impossible. The United Nations does not apply the word "genocide" lightly. The fact-finding team's assessment suggests the crimes against the Rohingya could meet the strict legal definition — which was last met over crimes in Bosnia and Rwanda nearly a quarter-century ago. The authors called for the creation of a special body, or "mechanism," to keep watch on the still-evolving human rights situation in Myanmar. They said the United Nations' own role in the country since 2011 should be reviewed to see if the world body did all it could to prevent such a crisis. They also faulted Aung San Suu Kyi for not using her role as head of Myanmar's government, nor her "moral authority" — she is a Nobel peace prize laureate — to stop the events in embattled Rakhine state.